For those seeking information about PFAS, please go here to learn more. HRWC’S TOP TEN FOR SAVING WATER AND ENERGY INSIDE YOUR HOME! Replace showerheads that have a flow rate greater than 2.5 gallons per minute. If the shower head is not labeled, the flow rate can be checked by catching the water in a 1-gallon bucket. If it takes less than 24 seconds to fill up, the showerhead flow rate is more than 2.5 gpm. You can save even 20% more by installing a WaterSense labeled showerhead. Those that earn the EPA WaterSense program label must demonstrate that they use no more than 2.0 gpm. The WaterSense label also ensures that these products provide a satisfactory shower that is equal to or better than conventional showerheads on the market. Reducing your 10-minute shower to 5 minutes saves 12.5 gallons of water if the showerhead has a flow rate of 2.5 gallons per minute (even more if your showerhead has a higher flow). Replace toilets installed before 1994 with high-efficiency toilets. Replacing a toilet that uses 2.5 gallons per flush (gpf) with an HET that uses 1.28 gpf will save 2.22 gpf. Some older toilets use as much as 7 gpf. Recent advancements have allowed toilets to use 20 percent less water than the current federal standard, while still providing equal or superior performance. WaterSense labeled HET’s use no more than 1.28 gpf and are certified by independent laboratory testing to meet rigorous criteria for both performance and efficiency. Install efficient faucet aerators and faucets that use a maximum of 1.5 gallons per minute. EPA’s WaterSense program labels efficient bathroom sink faucets and aerators that use a maximum of 1.5 gpm. Turn off the water when soaping hands, shaving, or brushing teeth. Turning off the tap while you brush your teeth can alone save 8 gallons per day. Choose a high efficiency clothes washer with a low water factor when it’s time to replace your machine. Washing laundry is a large water user in the average home; accounting for 15% to 40% of the overall water consumption inside the typical household of four persons. A standard washer will use approximately 40 to 45 gallons of water per load. New High Efficiency Washers (HEW’s) can use as little as 15 gallons per load. Be sure to check the ENERGY STAR clothes washer product page for efficiency ratings and savings calculators. Clothes Washer information: Alliance for Water Efficiency, Energy Star, H2ouse, Welcome Home Baby (an article on saving water, energy and money with an ENERGY STAR qualified high efficiency clothes washer). Advances in dishwasher technology make it possible to wash dishes using less water than in older models. ENERGY STAR qualified dishwashers are required to use 5.8 gallons of water per cycle or less. Older dishwashers use much more water than newer models. A dishwasher purchased before 1994 uses more than 10 additional gallons of water in each cycle compared to a new ENERGY STAR qualified model. Be sure to check the ENERGY STAR dishwasher product page for efficiency ratings and savings calculators. Always wash a full load. Maximize the water and energy efficiency of both your clothes washer and your dishwasher. Check for and fix leaks. Did you know that an American home can waste, on average, more than 10,000 gallons of water every year due to running toilets, dripping faucets, and other household leaks? Pay attention to your water bill, it will often be abnormally high if there is a leak. Landscape your yard with water conservation in mind. Put rain water to work by using native plants that thrive on less water, reducing the area of turf grass, and collecting water with a rain barrel. HRWC’S TOP TIPS FOR SAVING WATER AND ENERGY OUTSIDE YOUR HOME! Landscape with water efficiency in mind. Use native plants, or plants that require little water to thrive. Reduce the area of turf grass. Organize your landscape into areas with plant groupings that have similar water requirements to prevent over-watering of some plants and under-watering of others. Make sure your hose has a shut-off nozzle. Water in the early morning to prevent loss due to midday evaporation. Use a rain barrel to collect runoff and use the water on your plants. Use a broom, not a hose, to clean outdoor surfaces. You will save water and keep dirty water out of the stormdrain and our waterways. Wash your car at a commercial car wash that recycles its wastewater. OR wash your car on the lawn where it will soak up the water, break down the soap, and keep dirty water out of the stormdrain. If you have a pool, use a cover to reduce water loss through evaporation. You’ll also save on heating energy and reduce the need for chemicals. If you have an irrigation system .  . .
Have it professionally designed with separate hydro-zones that provide the right amount for the plants that receive the water. Install weather-based smart irrigation controllers that are properly programmed and maintained. Regularly inspect the sprinkler heads for damage and proper function. Adjust sprinkler heads to prevent watering paved surfaces such as sidewalks, driveways, streets and parking lots. IT TAKES ENERGY TO USE WATER. In the U.S., more than 13% of our total electrical energy goes to pump, treat and heat water supplies. The typical American uses 99 gallons of water a day for activities like washing clothes, bathing, toilet-flushing and cooking. Consider the energy-intensity of those 99 gallons. Embedded in our water-use is the energy needed to bring it into our homes and take it away for treatment. Your water utility uses pumps and equipment to pull water from your nearby lake, stream or underground aquifer, to clean and treat it and then to push it through miles of pipes until it reaches your home. Your wastewater makes the same journey in reverse. There is also the energy needed to heat water once it gets to your home, or its end-use energy. Our showers, faucets, clothes washers and dishwashers all use hot water. 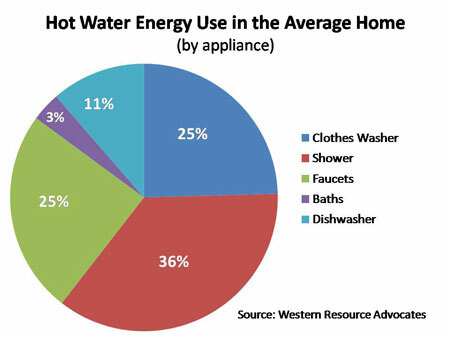 Energy for water heating alone accounts for 74% of total water-related energy use. WATER HAS ITS OWN CARBON FOOTPRINT. Carbon dioxide emissions from water-related energy consumption account for about 5% of U.S. CO2 emissions annually, or 290 million metric tons. This is the equivalent of the annual greenhouse gas emissions of 53 million passenger vehicles or the annual electricity use of over 40 million homes. IMAGINE IF WE EACH SAVE A LITTLE. The average reduction in hot water use for households installing efficient fixtures and appliances is 10.8 gallons per day, or a reduction of approximately 20%. If every household in the U.S. achieved similar savings, residential hot water use would be reduced by approximately 4.4 bilion gallons per year. Resultant energy savings would be 41 million MWh electricity and 240 billion cubic feet of natural gas with associated CO2 reductions of about 38.3 million metric tons. TOOLS, CALCULATORS AND OTHER RESOURCES FROM THE WEB THAT WE LIKE BEST. Home Water Works. How much water do you use? How do you compare? Estimate daily and annual water use with the Water Calculator. Answer a few simple questions and the Water Calculator does the rest. It’s quick and easy! National Geographic, Calculate Your Water Footprint. The average American lifestyle is kept afloat by nearly 2,000 gallons of H2O a day—twice the global average. See how your home, yard, diet, transportation and consumer choices measure up. replacing with WaterSense labeled products. Based on the number of people expected to use the fixtures in each household and other simple inputs, the calculator provides estimates of the amount of water and energy that you can expect to save. Dollar savings are also provided. DTE Energy, Analyze Your Energy Use. (For DTE Customers). An interactive tool that helps you easily evaluate how you use energy in your home and where you can save. When you sign in, it pulls your billing information to give you a custom analysis based on your actual energy use. Includes implementation costs and annual savings in dollars, CO2 emissions and water. ENERGY STAR, Savings Calculators. Product pages for both ENERGY STAR qualified clothes washers and dishwashers have handy SAVINGS CALCULATORS for determining the annual operating and lifecycle costs for the product you are considering. The tool shows electricity, gas, and water consumption for each and even gives the reduction in CO2 emissions over the machine’s life in terms of pounds of CO2, equivalent number of cars removed from the road for one year, and equivalent acres of forest planted. Water Saver Home (H2ouse). A virtual encyclopedia of information on saving water, this site presents tips by letting you navigate around the Water Saver Home or going straight to a list of topics. Water – Use It Wisely. Now in its 10th year, this conservation campaign makes smart water-use fun, easy and practical for everyone. The website offers 100 tips for saving water as well as a regular blog packed with information. Walk This Way: making the right choices to reduce your water footprint.Good, one of our favorite magazines, produced this transparency a few years back. It shows the water footprint of our daily choices, including for the foods we eat. You might be surprised to learn that it takes 11 gallons of water to make a slice of bread! More on the Water Energy Nexus. The Big Thirst. A compelling National Public Radio interview of investigative reporter and author Charles Fishman on the secret life and turbulent future of water, a natural resource that, Fishman says, we can no longer take for granted. Fresh Air, April 11, 2011. HRWC Save Water Save Energy Blogs. Archive of HRWC blogs related to water and/or energy conservation.